The Hungry Doctor : Indonesian Food and Travel Blogger based in Jakarta: Union - Best Red Velvet in Jakarta ! Well, we all know that our city, yap our lovely Jakarta is such a busy and hectic city like it's hard to find some place to relaxing. Everyone has their own way to get that "relax" , for me I always love to eat to get my relax. Can you imagine a cafe where you can sit comfortly and do a little chit-chat with your companion? I think I have a name for that , UNION. But in weekend, this is not a recommended place for you who look for a quite cafe, because it's getting super crowded, really. You can come and see by yourself. Maybe most of you has known this foodplace, because it's famous in Jakarta now. Actually they're not just a cafe where you can find pastry and beverages but also cuisine, but honestly I never tried their dish at all haha I come here just for sit, enjoy a piece of cake and a glass of coffee and that's an awesome feelings. 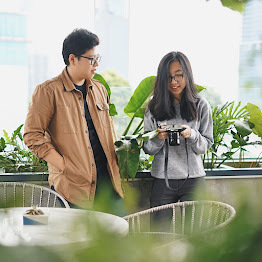 UNION is located at Plaza Senayan, one of the biggest shopping centre in Jakarta and of course in Central Jakarta, so it's quite easy to get here. UNION is not in the mall actually, because they have a garden area and that's outdoor, and as I know you don't have to enter the mall to get here. If you from the mall, you have to go to Metro (If I'm not mistaken) and beside Starbucks and you'll find a brown-door with security, that's UNION. When you get in you'll see some people were queueing for the bakery product which are really amazing. I went here at weekend with my little sister and we have to be on waiting list because the spot is full. But don't worry in weekend every table has their own maximum usage. So they'll not be able to be here in long time and so do I hehe. When we get table, the waiter directly come to us and give the menu book and some of bakery menu is not available there, so if you really want to know what they have, just see on the bakery spot and luckily my favourite just get ready ! well the decoration is quite interesting, like we're in European cafe with all those ornaments, I love it. If you like to drink just go to their bar. The visitors here are not only teenager, you can find family too, so it's suite for family dining too I think hehe. For this afternoon I don't know why my sister ordered this one, because she looking something fresh she said, but I don't think it's suit to red velvet or even raisin danish, but it's okay haha. Actually, when I try their fresh lime juice, it fresh !! oh yaaa you should add sugar by yourself, because they don't give any sugar in it, so it's up to us how sweet do we want. Fresh ! I always love to have cake or bread with coffee, hot or cold doesn't matter for me. Well, for that afternoon I ordered Ice Cappuccino because I saw the waiter brought this drink and I ask him what's that, and he said that's Ice cappuccino. Served quite well and made me want to clean this up haha, they have such a great colour of ice cappuccino, there's some foam on the top and some chocolate syrup to make it sweeter, well this ice cappuccino is no sugar, you should add by yourself. They have strong taste of coffee and combined with sweety cream foam. Great Ice Cappuccino to accompany the Legendary Red Velvet Cake ! So, that's what I have for that afternoon. I really like to try their dish sometimes, next time I'll have a lunch-time here hehe, but again and again not in weekend, because it's getting crowded here, not just local people, sometimes there's also foreigner here. UNION has a great atmosphere and ambience in a strategic area. Served great food with affordable price too, so what are you waitin' for? Go to the UNION! so tempting!!! Setiap kali datang ke Jakarta aku pasti bela2in jajan Red Velvet nya Union! Oh ya, praline chocolate cake n Carrot Banana Cake nya juga enak tuh... Visit my web blog on www.freetotag.com ^^ I also got plenty of food recommendation... happy sharing!